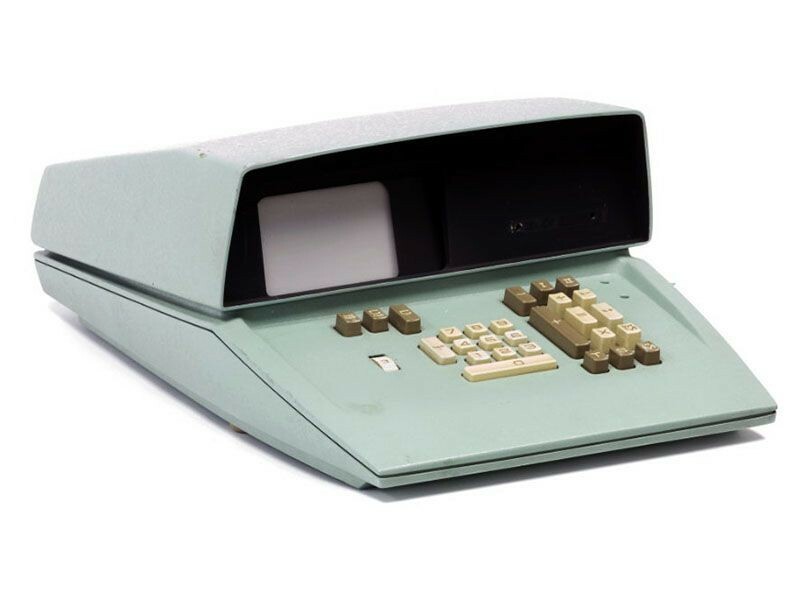 Designed by engineer Gardner Hendrie for Computer Control Corporation (CCC), the DDP-116 is announced at the 1965 Spring Joint Computer Conference. It was the world's first commercial 16-bit minicomputer and 172 systems were sold. The basic computer cost $28,500. A leading light in the La Nouvelle Vague (The New Wave) of French cinema, director Jean-Luc Godard tackles science fiction in his gritty detective story Alphaville. 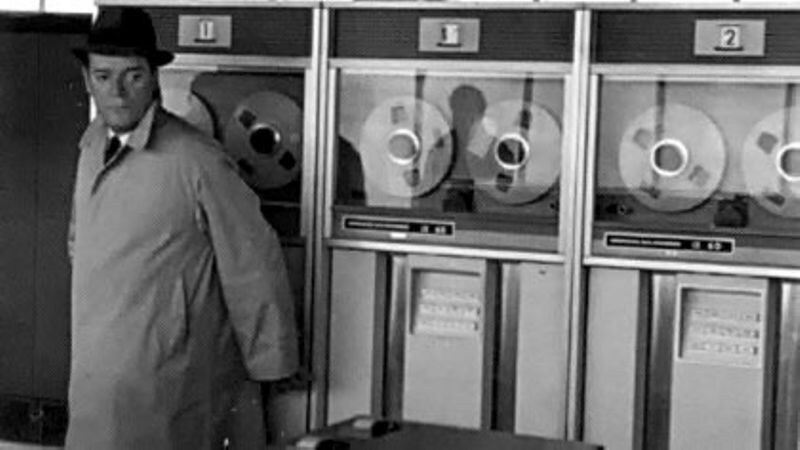 Set in a technocratic dystopia, Alphaville featured secret agent Lemmy Caution (played by Eddie Constantine) as he investigates the situation surrounding Professor von Braun, creator of the Alpha 60 computer. This computer, which has gained sentience, controls Alphaville, and Caution must battle it using his two most dangerous weapons – his handgun and poetry! Alphaville served as an inspiration for the formation of the Cyberpunk genre. A Stanford team led by professors Ed Feigenbaum, Joshua Lederberg and Carl Djerassi creates DENDRAL, the first “expert system.” DENDRAL was an artificial intelligence program designed to apply the accumulated expertise of specialists to problem solving. Its area of specialization was chemistry and physics. It applied a battery of "if-then" rules to identify the molecular structure of organic compounds, in some cases more accurately than experts. 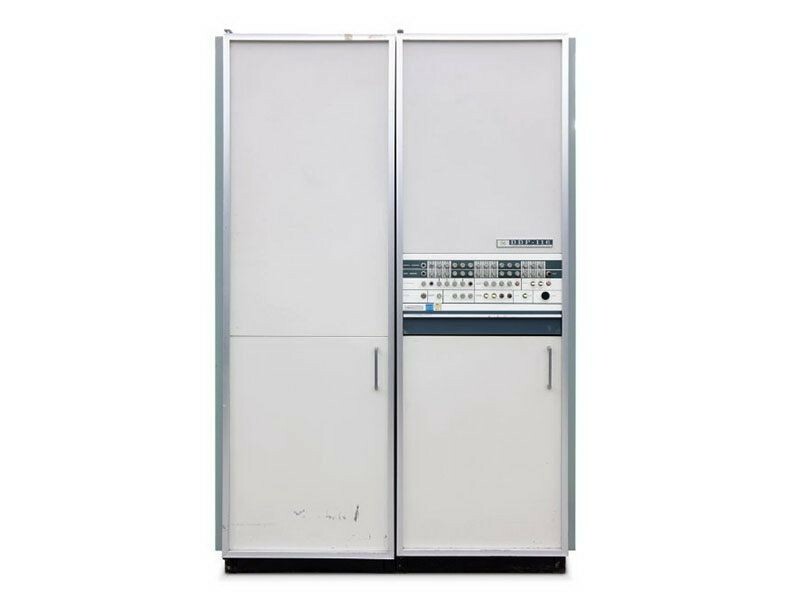 The IBM 2314 direct access storage facility is introduced. It was an improvement over the 2311 disk storage drive and provided higher data storage density. Eight drives (plus a spare) with removable 29 MB disk packs shared one control unit. The extra drive was a spare for the user or could be worked on by a field engineer while the other eight were in use by the customer. 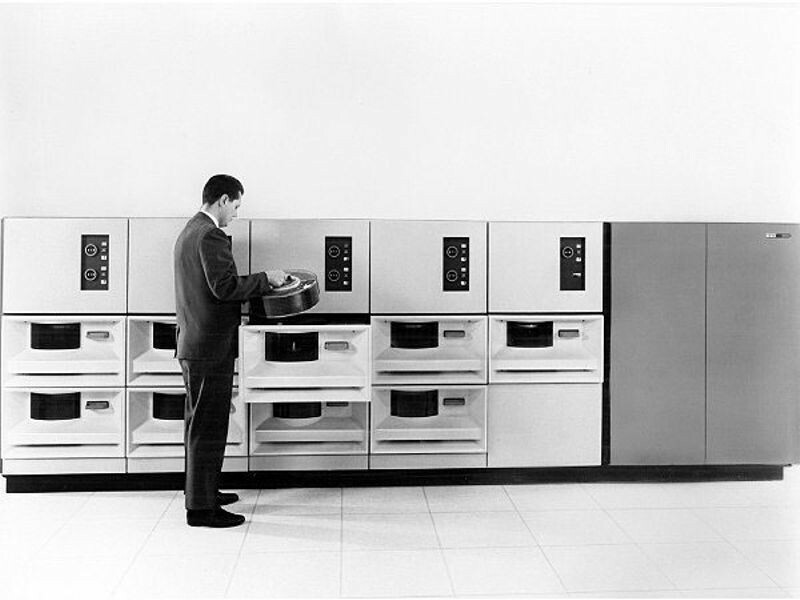 Attached to a System/360 computer, it supported applications like online banking, ATMs, and just-in-time manufacturing. 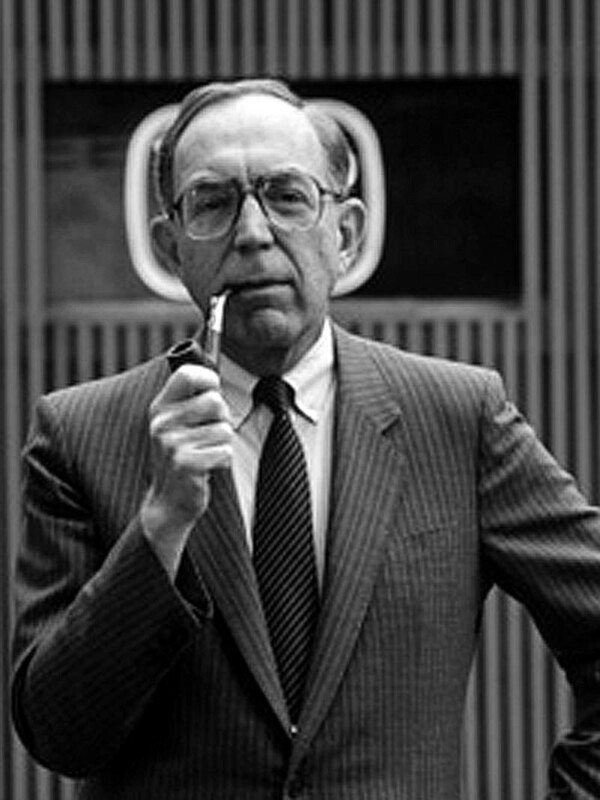 Announced the year previously at the New York World's Fair the Programma 101 goes on sale. 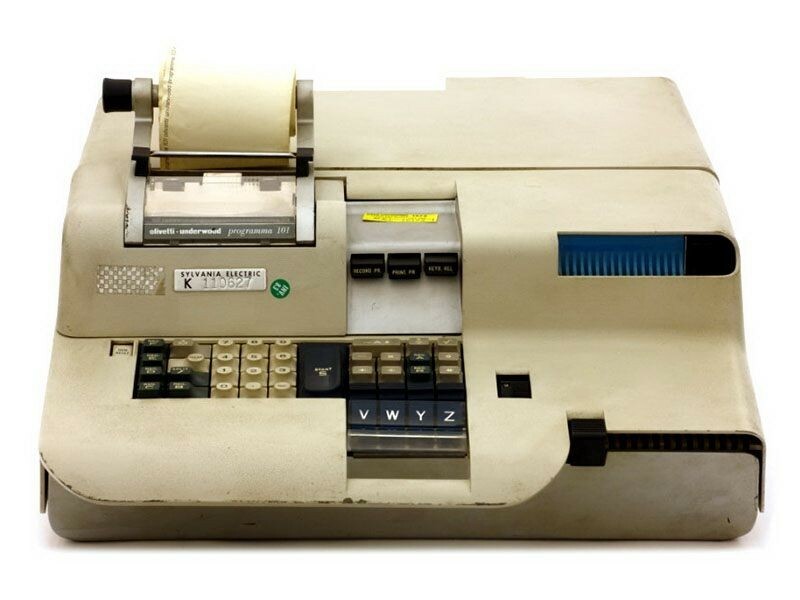 This printing programmable calculator was made from discrete transistors and an acoustic delay-line memory. The Programma 101 could do addition, subtraction, multiplication, and division, as well as calculate square roots. 40,000 were sold, including 10 to NASA for use on the Apollo space project. 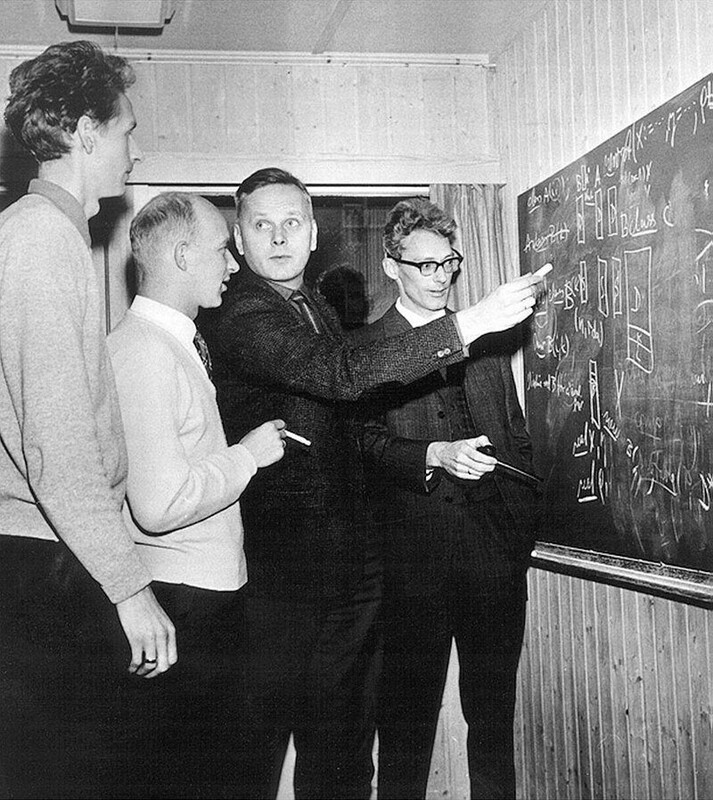 Bjørn Myhrhaug, Sigurd Kubosch, Kristen Nygaaard, and Ole-Johan Dahl discussing Simula. Simula, an object-oriented language, is written by Kristen Nygaard and Ole-Johan Dahl at the Norwegian Computing Center. Based largely on the Algol 60 programming language, Simula grouped data and instructions into blocks called objects, each representing one facet of a system intended for simulation. In addition to simulation, Simula also has applications in computer graphics, process control, scientific data processing and other fields. 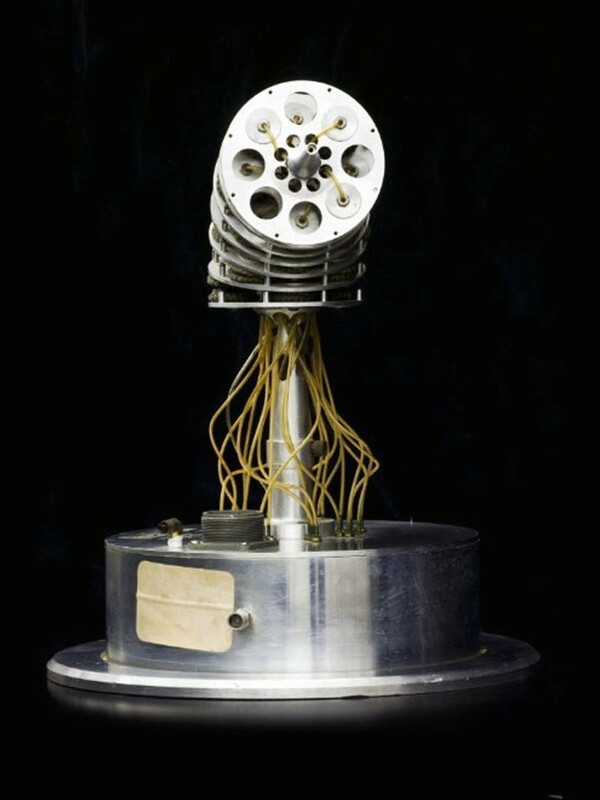 Developed at Stanford University, the Orm robot (Norwegian for "snake") was an unusual air-powered robotic arm. It moved by inflating one or more of its 28 rubber bladders that were sandwiched between seven metal disks. The design was abandoned because movements could not be repeated accurately. Victor Comptometer Corporation produces the Victor 3900 desktop calculator. Six 100-bit MOS shift registers built by General Microelectronics provided memory for the calculator, which was the first to use MOS for both logic and memory. The calculator could perform multiple functions and had a small, integrated CRT display. However, the immature MOS manufacturing process made the parts unreliable, limiting sales.